Was this the house in Nazareth where Jesus grew up? Nazareth was the home of Jesus, a descendant of King David. There appears to have been a connection between the clans of Nazareth and the clans of Bethlehem. In Jesus' day, both towns were small and essentially comprised of one family. These kinsmen had common Horite Hebrew ancestry. I Chronicles 4:4 lists Hur (Hor) as the "father of Bethlehem." No priestly division was assigned to Bethlehem by King David because his sons served as the rulers over all the priestly divisions (2 Sam. 8:18). Nazareth sat in a basin. It was described as a flower or a shell protected all around by hills. A caravan route connected Nazareth and Jerusalem. To the south of Nazareth, a road led to Egypt. This would have been the route that Joseph traveled with Mary and Jesus on their return from Egypt. Archaeological findings in Nazareth include an ancient wine press, terraced hillsides used as vineyards, an irrigation system, and three watchtowers in the fields. These date to Jesus' time. Perhaps these were in Jesus' mind when He told the parables of the sower, the wheat and the tares, and the vineyard workers. 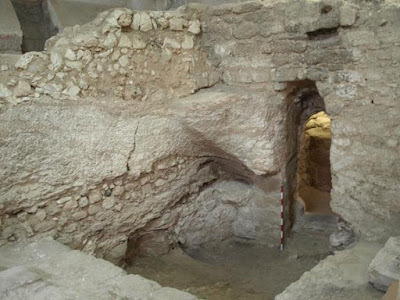 Archaeologists working in Nazareth also have identified a first-century house that has been regarded as the place where Jesus lived with Mary and Joseph. The house is cut into a rocky hillside and built out from the hill with mortar-and-stone walls. It was first uncovered in the 1880s, but it wasn't until 2006 that archaeologists dated the house to the first century. The Horite Hebrew ruler-priests were famous for their monumental stone work. They were responsible for building the tombs of rulers, so this house would have been a rather humble home in comparison. Nazareth of Galilee was of less concern to Herod than Bethlehem. Herod knew that the Messiah's birthplace was prophesied to be Bethlehem, David's city, and that the eternal kingdom was to be that of David's lineage. His slaughter of the baby boys in Bethlehem was to eliminate this future king who posed a threat to Herod's dynasty. Herod was born in Idumea or Edom around 74 B.C. He knew that Messiah's appearing would change everything because his Edomite ancestors were the Horite Hebrew of Edom (Gen. 36). They expected Messiah to be born of a virgin of their Horite Hebrew ruler-priests lines. Some of those priests resided in Bethlehem, and some in Nazareth. Nazareth was on an ancient trade route that went north from Egypt through Galilee. It was called the "Via Maris" in Roman times, but the route was traveled for many centuries before the Roman presence in Palestine. Another ancient road went from Nazareth to Jerusalem. It was along this road that the priests of Nazareth traveled to the temple to perform their sacred duties when it was their appointed time of service. In 1962, excavators discovered in the ruins of a Caesarea synagogue a small 3rd to 4th century marble fragment with a list of the twenty-four priestly divisions. This list names the places where four of the divisions resided, including Nazareth, the home of the eighteenth priestly division, hapiTSETS (Happizzez). 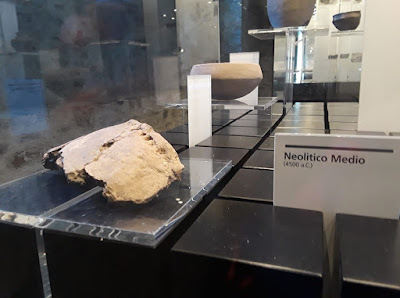 Until the discovery of this fragment, there was no extra-biblical record of Nazareth's existence before the sixth century A.D, and no identification of a priestly division at that town. According to 1 Chronicles 24:15, the eighteenth priestly division was called hapiTSETS (Happizzez). The name is related to the ancient Egyptian word for the life-sustaining Nile, Hapi. Many claim that the word Nazareth is related to the Hebrew word for branch, but it is more likely that Nazareth is related to the Ge'z rwt, meaning king, and the Nilotic Shilluk word reth, also referring to a king. According to Strong's Hebrew Concordance: 5145. נֵ֫זֶר (nezer) refers to consecration or a crown. Melchi, a name that appears twice in the Virgin Mary's ancestry, means "my image" in Amharic, a language spoken in the Upper Nile.